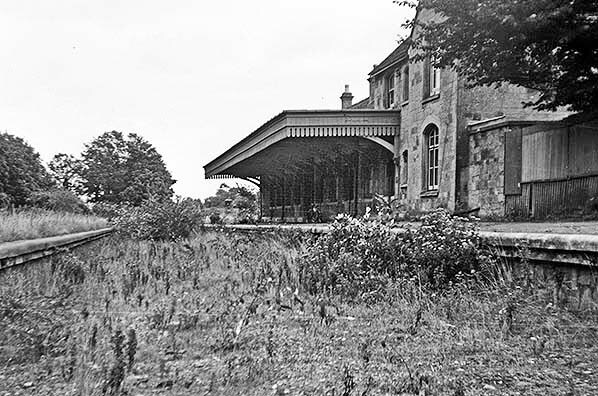 Present state: Although the station was demolished during the construction of Castle Close, the main station building has been retained and converted into a number of dwellings with side of the building that faced the platform now facing onto Castle Close. 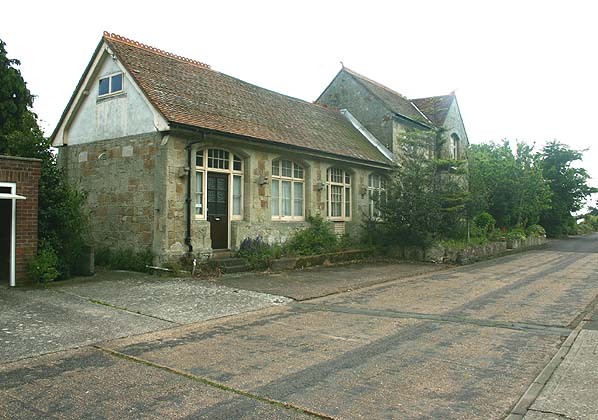 Notes: Following the construction of the line from Merstone, a temporary terminus was opened at St. Lawrence in 1897, the line finally reaching Ventnor Town as it was originally named in 1900. 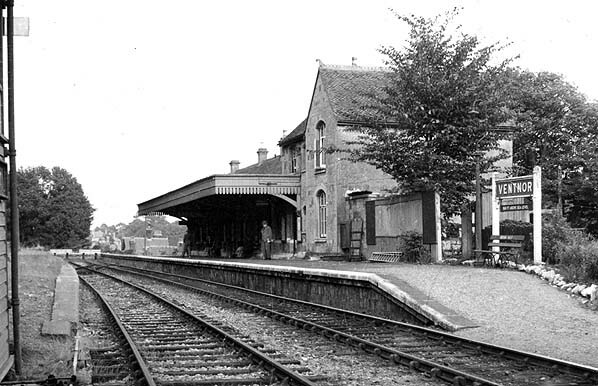 Although the station was provided with two platforms, the platform on the up side of the line had no buildings and saw little use with most trains terminating on the down side. 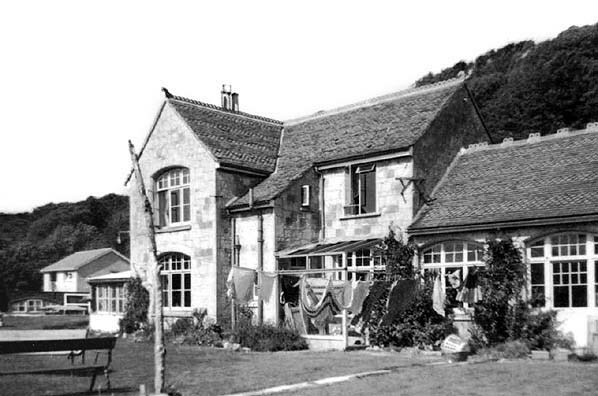 As the station was a mile west of the town centre the name was changed to Ventnor West on 9.7.1923 following the takeover by the Southern Railway. While most of the stations were eventually downgraded to unstaffed halts by the Southern Railway, Ventnor West retained its staff despite poor passenger numbers throughout its life. 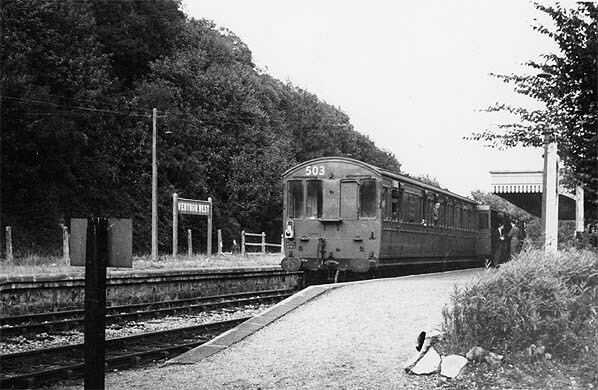 Although sited high above the town, the Isle of White Railway's Ventnor Station provided a faster and more poplar route from Ryde. The station had a long loop dock road with an inspection pit and water tank and several sidings serving the goods yard which included a coal road. The Isle of Wight (Newport Junction) Railway also opened in 1875 from the IWR at Sandown through Merstone to a temporary terminus at Pan Lane Newport. 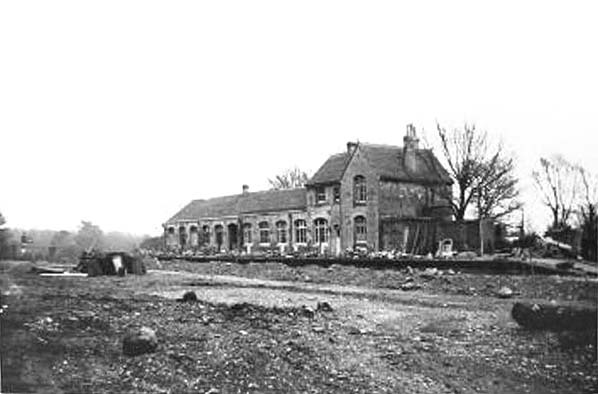 The line was extended into the joint station at Newport in 1879 and Pan Lane was closed. Within 10 years this line was virtually bankrupt. 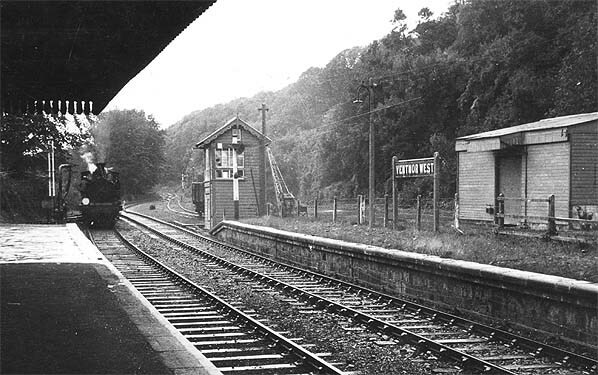 Ventnor West Station looking east in 1957.